I am so excited!!! 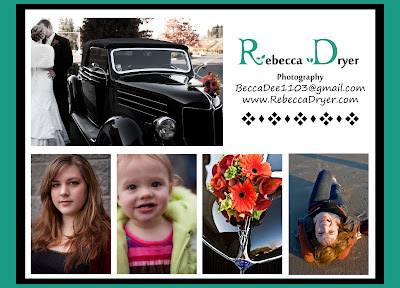 I launched my very own photography website (www.RebeccaDryer.com)! I think that this will be a huge step in the right direction for me. I also started advertising on CraigsList Here is the ad that I posted on there.....comments? ...suggestions? I am also trying to feature local musicians on my website, so if you know of anyone that may want to have a song on there then let me know! I have already added one local musicians song. It is by The Battle of Land and Sea, the song is called Six Days. Check it out!